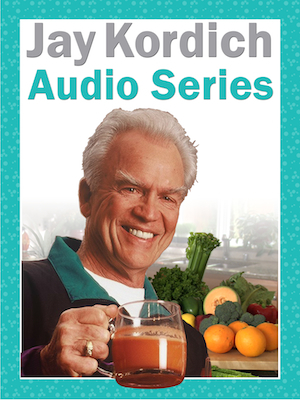 After teaching the world for over 65 years about the Power of Juicing, Jay Kordich presents his new powerhouse line of superior living food, super-food supplements. This new line of products provide better-than-organic quality for you and your family. 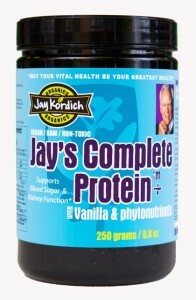 Today we introduce Jay’s Complete Protein. It’s 100% raw and 100% vegan. Regardless of your diet choices, lifestyle and ethics, whether you are a professional athlete, a weekend warrior, or an overstressed Mom or Dad, the is the best performing protein supplement you can buy. 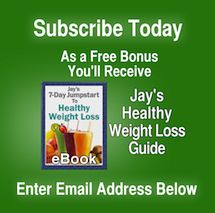 But we didn’t stop there, you also get phytonutrient benefits that far outweigh products with isolated proteins. “Most protein formulations you think of as body building or sports nutritional supplements and they can have a positive effect there, although most protein supplements are formulated based on performance only and not nutrition. 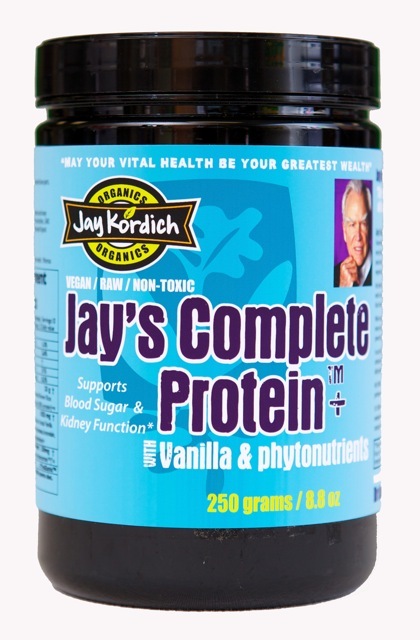 Jay’s Complete Protein is totally different; it’s the highest performing protein supplement you can possibly consume, made with nutrition in mine as well. Some plant protein products as incomplete protein; that’s not the case here. One of the unique things about Jay’s Complete Protein is it’s completely plant based, so it’s non-toxic and it’s also an absolutely complete protein. 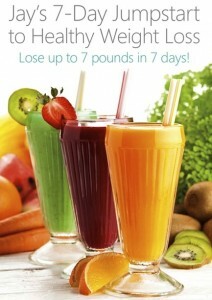 There’s every amino acid in the optimum ratio for the human body in this product without any toxicity. Dr. Sheridan continues, “It contains NON-GMO organic brown rice protein from sprouted brown rice as the base, which is a complete protein unto itself. 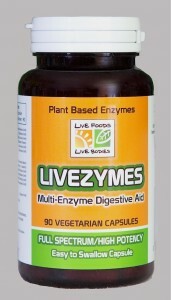 The sprouting makes it extremely bioavailable and it’s also organic. It also contains high quality, organic Hemp Protein. We’ve also included milk thistle seed which helps to protect and regenerate both the liver and the kidneys. Nopal cactus has been added to help with heat shock proteins for endurance and to strengthen stamina. 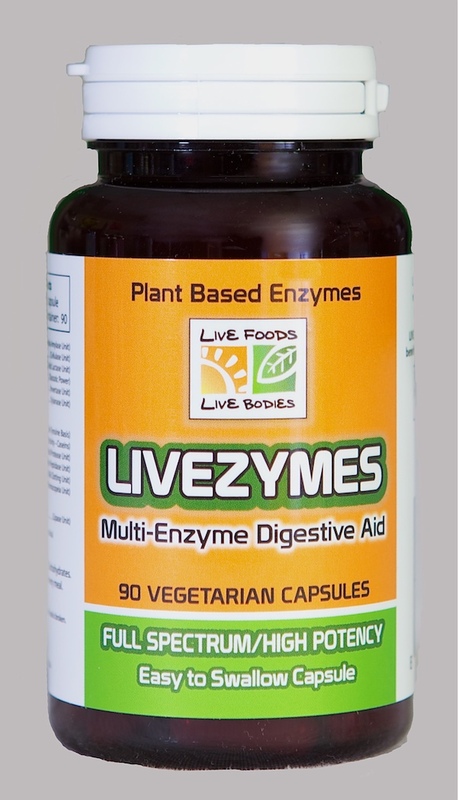 Digestive Enzymes that are plant based have also been added for a complete protein supplement system. It’s really more of a protein food. 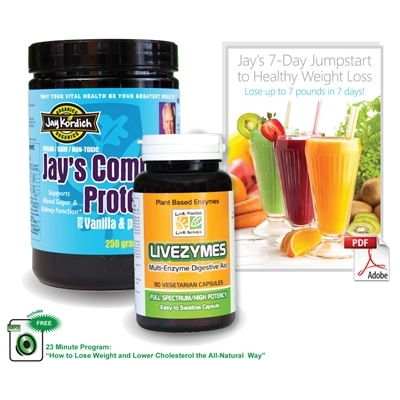 Click on this link to order Jay’s Complete Protein at a special introductory price for a limited time only.